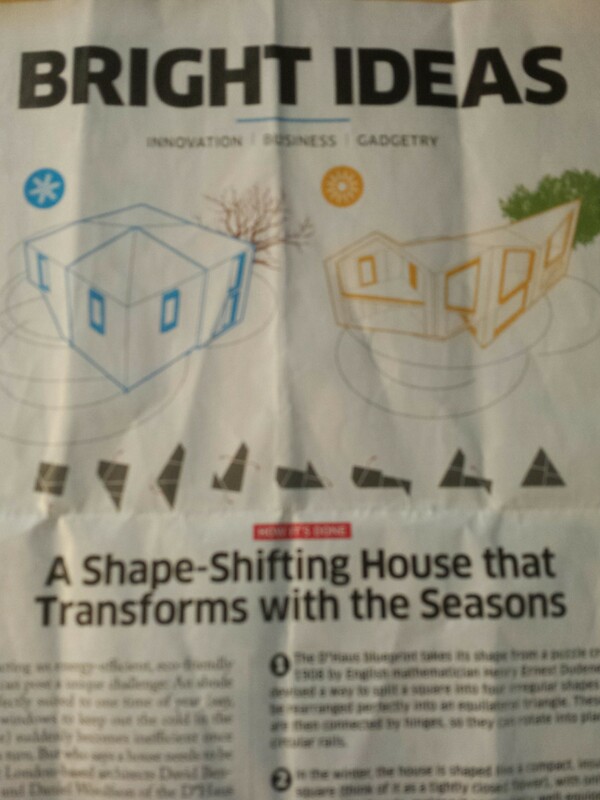 All month I’ve been carrying around an article clipped from the in-flight magazine during our vacation. I was intrigued by the title. “A Shape-Shifting House that Transforms with the Seasons.” In it London-based architects tell of a house that literally changes its shape, opening and closing on itself to create eight unique configurations, each designed to take advantage of the conditions of changing seasons. In the winter, the house is a compact insulated square like a tightly closed flower. But in the summer it stretches out like a housecat, rotating and opening towards a warm sun. This is a house that is never static. It’s flexible. What if our faith were also not static but flexible? This morning I’m closing up my sermon series “What’s in Your Faith Closet?” It’s fitting to hold both the image of this unique house, and Paul’s letter to the believers at Ephesus. It is an act of faithful flexibility to de-clutter and separate out those things that offer life from those that do not. Once we’ve let go of what we no longer or never did believe; and once we’ve rediscovered new things about our faith, there’s another question that awaits us. How does what we believe inform the way we live? You’re committed to a life in Christ. What next? Paul’s letter to the church at Ephesus offers a final extended metaphor for how belief in Jesus might shape the way we live their lives, illustrating his point with references to the armor that might be worn by an army. THIS is one of those times when the old stories and our story intersect. You and I have more in common with the addressees of this letter than we may think. Paul’s audience was a minority group. Today the Christian share of the U.S. population is declining, while the number of adults who do not identify with any organized religion is growing. To be sure, the United States still remains home to more Christians than any other country in the world, however worldwide, Christians are still a minority. So for those who, as an example, couldn’t swallow what it said about God, for God to sacrifice a child as a substitution for us—the alternative was to walk away. And walk away they did. But for those who stayed, engaged and transformed their questions, deeper truths were revealed. In love God provided Jesus to show us what a life lived in synchronicity with God looked like. God provided Jesus to walk with us, to teach us how to live and do the right things, EVEN if his countercultural life would result in humans to crucifying him. It is a game changer to follow Christ because he lived full out even to the point of death. Jesus represents relationship, not patriarchal punishment. God is not an angry meanie. Our faith is like a garden. If you don’t pull the weeds, the weeds will overtake the flowers. And frankly, I have to wonder if a good cleaning would move the “in name only” Christians from “yes I believe but I don’t much go to church anymore” to “I practice a life informed by my faith and I enjoy gathering with other pilgrims on Sunday to renew that faith these friendships.” OK, it still doesn’t mean you have to come every Sunday says the pastor whose secret longing is for Sunday traffic, traffic due to so many people trying to get to church. Now looking at Paul’s letter, it is quite remarkable the way it applies faith to life. What if every day we put on our faith, like clothing? What if the lessons of our faith were so current, so alive, and so central, that it was like putting on a belt of truth? And what if even our shoes were metaphors for our walks of peace in the world. I love when he writes about putting on a helmet of salvation. Salvation! Now there’s an archaic word. In progressive parlance salvation refers to “wholeness in God.” How awesome is it to regard our minds as the engine of a faith that is all about the wholeness of God?! Word! This is the difference between a flexible, evolving faith and a rigid, static faith, a faith. And just as with Jesus’ example, Paul wraps everything in prayer. Pray in the Spirit at all times, he writes. To live consciously- in continual prayer—do you agree that would be a very good way to live and be in the world? My prayer it that we each fall in love anew with our faith, engaging those things that bring us new life. And finally, using Paul’s own words. Pray also for me, so that when I speak, a message may be given to me to make known with boldness the mystery of the gospel, for which I am an ambassador in chains. Because I am just that. I am chained to the truth of Christ, convinced, convicted, and renewed not by fairytales but by the Spirit of what I know and believe. Pray that I may declare it boldly. Amen. So, we’ve been having this conversation of late, posing the question– “What’s in your faith closet?” What do you believe? What is at the heart of your faith? And with that, what do you find hard to swallow? 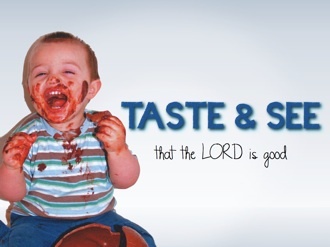 What for you is theological junk food versus super food? I sincerely hope you are experiencing a deepening of faith as you let go of some things, and fall in love anew with others. Sometimes we need a fresh review. Just as when we inventory any closet, making decisions about what we keep, toss or rediscover takes laying it out where we can look at it. So fasten your seatbelts. We’re going deep. To help with this conversation I asked some friends what things they can no longer swallow. I also asked what is feeding their faith. I knew I’d hear some interesting things but in the end I heard some doozies. Atonement theology; that life is fair; that suffering is good for you and that it makes you stronger. When I was a tyke, I was told that God kept a big tally sheet and made a mark on it every time I was “bad.” Then, on judgment day, He would review those marks and decide whether I got to go into heaven. Our pastor told us when we were in high school that races should not mix. And also, Catholics and Lutherans should not date each other. That only 144,000 people are going to heaven. The rest are cast out. That the earth is only 5000 years old and was created in 7 literal days. That God hated gay people or hates anyone for that matter. That unbaptized babies wouldn’t go to heaven. That the Native Americans are “lost Jews” that came over to North America on submarines before the time of Christ. That list is only the beginning in what people would class as empty spiritual calories. It’s a good lead in to today’s gospel, a discourse I would class theological super food. Jesus’ words in John 6 are different than in other verses where he also describes himself using a bread metaphor. But beginning in the 51st verse “Bread of life” has become “LIVING bread that came down from heaven.” This passage seems to move from descriptive metaphor, to asking us to eat this bread. He says, “Whoever eats of this bread will live forever; and the bread that I will give for the life of the world is my flesh.” The passage has an uncomfortable even cannibalistic tone as he adds, “for my flesh is true food and my blood is true drink.” Is this a concentrated reference to the Eucharist, or is Jesus talking about something more? But first, I don’t want to ignore an important distinction here. Catholics use this as a proof text for the belief that the bread and the wine literally become the body and the blood of Christ. They adopted transubstantiation as official doctrine at the Council of Trent in the year 1545. Luther could not agree saying, “If you can explain how Christ is both fully God and man I will explain how the bread and wine are his body and blood.” This is an example of taking the bible seriously but not literally and why we say that Jesus is present, in, with and under the elements. There are scholars don’t see this text as being about the Eucharist, but rather as Jesus going deeper and talking about the reality of who he is—the human incarnation of God in the flesh. You and I know how this story ends–that Jesus will give his Godly flesh-his substance- for the sake of the world. He knew that people (not God) would seek his death. That makes Jesus’ invitation perhaps the greatest we will ever receive. Jesus is asking us to chew on this truth, the truth of who and whose he is. He’s inviting us to consume his very substance, in fact take his substance into our substance? His body into our body. What would our life look like if we lived on a diet of Godly substance? To fully receive him, we get to sort through what that means. Talk about de-cluttering your faith! Jesus is not just asking us to believe. He’s asking us to take a filling bite of everything he stands for, all that he is and all that he hopes for the world! Put this mystery back into your faith closet and you move from a way of seeing… to a way of being–a way of living! So would you like to know what people said is at the heart of their faith, what’s feeding them? They believe in love, in compassion and in community. They believe in sharing the gifts they’ve been given. They believe in kindness and that God and us are never separate. And finally, here are the beautiful words of my friend Marie. “My faith is in Jesus, who came among us as human and by the very act of incarnation redeemed humanity, not by blood sacrifice. My faith is in God whose love is impossibly lavish. And so brothers and sisters in Christ. If we are what we eat, let us chew on that, in Jesus’ holy name. If you were here last week or have read the newsletter, then you know I’m offering a sermon series this month titled “What is in Your Faith Closet?” Are there things you believe that are cluttering up your faith or are there things you need to take out, re-examine and be reminded of why you “bought” them in the first place. All month I’ve been cleaning out our basement, tossing things out, and separating other things for our upcoming Salem garage sale. Not just once but several times I’ve re-discovered things I forgot I had, things I forgot I loved. THAT is my greatest hope for this sermon series, that you will rediscover things about your faith that you can become newly delighted by–along with other things you’ll feel free to discard if they no longer give life to your faith. The truth is I am regularly asked why I still believe in Jesus, as if the things I no longer believe about Jesus should negate the value what I do believe. There is no need to throw the baby out with the bath water. So what holds the center in what you do believe? Virgin birth? Resurrection? Substitutionary atonement? The trinity? Original sin? Whatever you believe is intensely personal. There is grace enough to believe whatever it is that amplifies your faith. However, faith should never be static. It should grow, evolve and deepen. Frinstance (that is a word, right) progressive biblical scholars do not conclude that God ordered the crucifixion of Jesus as a trade (a substitution) for humanity’s original sin. After all, we are children of a good and benevolent God and are therefore intrinsically good which… has given way to a new understanding of original “blessing” and not original sin. So… Jesus I’m keeping and substitutionary atonement I’m discarding. But here’s the thing. God knew the fate that awaited Jesus. Jesus was indeed sacrificed but not by God, by humanity. Crucifixion was the punishment for anyone deemed a political subversive. The Roman authorities thought him a political threat because they didn’t get it, and at the same time his Jewish brothers thought him a threat to their religion. As we can see in today’s gospel (John 6:51-58) they thought they knew all there was to know about this man Jesus and about their faith. ELCA Bishop Craig Satterly of the lower Michigan synod writes, “That is what’s happening to the crowd with Jesus; they knew too much for Jesus’ words to ring true. Jesus said, “I am the bread that came down from heaven” (John 6:41). But the insiders, the ones who knew the history – thought they knew how God does things and how things should be done. They also knew Jesus’ origins. “Who does he think he is?” They mutter, “Claiming to have come down from heaven? We know his folks. We know he came from Nazareth, not from heaven!” (verse 42) The Judeans also know their scripture. “The bread from heaven was the manna fed to our ancestors back in the time of Moses.” And the Judeans in the story knew the law. “The Lord God said, ‘I am the Lord your God; you shall have no other gods.’” End quote. In other words, Jesus, you are not the one we’re waiting for. We’ve pushed the save button on what we know and our minds and hearts are closed. If I learned anything in graduate school it’s that the more I know the more I know how much I don’t know! The hallmark of intellectual curiosity is the humility to know that you don’t know, leaving you open to learning! What the early skeptics didn’t understand is that knowledge alone is flat. If you cannot get out of your head long enough to have a heart experience with Jesus, your faith is dead on arrival. So here’s a question. Should discarding the notion that God killed Jesus ruin your faith? I sincerely hope not. I hope it leads you to a deeper faith. Because your faith and what you do with your faith matters. 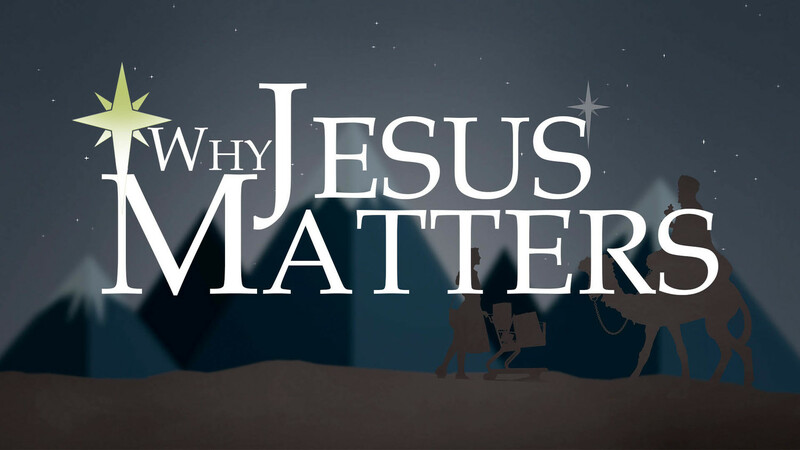 And why does Jesus matter? Jesus matters because of what he reveals about God. As the human incarnation of God, Jesus not only came to walk among us in relationship, Jesus came to model for us what it looks like to be in relationship with God and God in relationship with us. What’s more, Jesus was in such perfect harmony with God that every act of his life was holy- every act of his life was preceded by reflection and prayer. He approached everything knowing who and whose he was. Jesus matters because he shows us what it looks like to live in synchronicity with God. Jesus’s very life shows us what should matter. The way he lived his life spoke hope to everyone he encountered. People were healed in his presence, transformed by his witness. To be transformed by Jesus was and is to turn your life around, turning anew towards God’s greatest imagination for our individual and collective destinies. That’s why Jesus matters. Jesus is the pointer, and we are the followers. It’s how children of the heavenly father learn. We learn by imitating and by following, and when we follow, when we pay attention to how Jesus lived, what Jesus did, and what mattered to Jesus, we are free to live better and to make a difference in this world that God loves.